Starting today, March 12th and through March 14th, Krispy Kreme Rewards Members can score One Dozen ANY Doughnuts for just $6.99 per dozen (limit two per member). 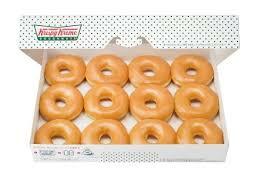 Just show your Rewards Barcode found in the Krispy Kreme App or your email at the register. If you are not a rewards member, head over here and download the free Krispy Kreme app (via iTunes or Google Play Store), sign up for rewards and then show your barcode when you go to buy the doughnuts in store. I love Krispy Kreme rewards...you'll receive exclusive offers, points towards free items, and a FREE gift on your birthday! 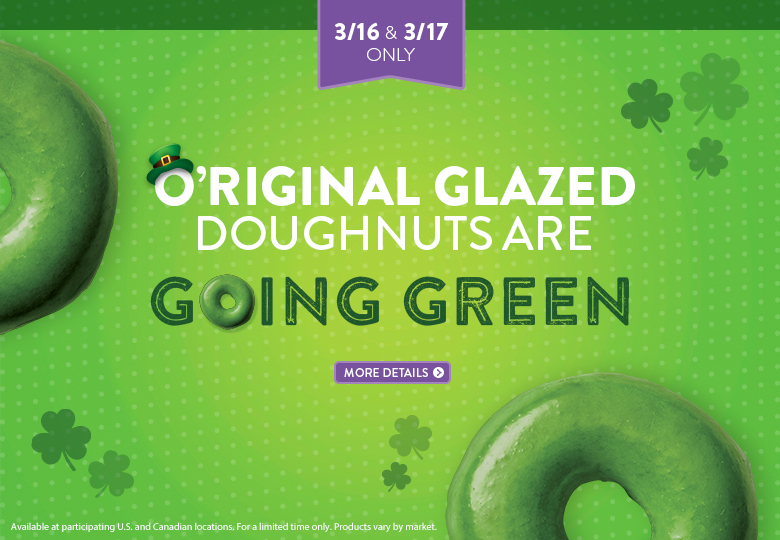 Plus, you should receive an offer for a FREE Original Glazed Doughnut within a few hours of downloading the app and becoming a rewards member. 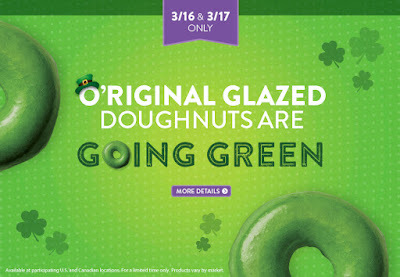 And later this week, the glaze doughnuts are going GREEN for St. Patty's Day on 3/16 and 3/17.